My first experience of the Southland spirit was when I was involved in the Southland Section of the New Zealand Alpine Club. The Southland Section was routinely ignored by the national body when international expeditions were organized, so the Southland Section just organized their own. Hugely successful expeditions were organized from the sixties through to the eighties to Patagonia, China and even Everest. The technical challenges provided by Fiordland's Darran Mountains were a great training ground for Southland climbers and their sixties ascent of a virgin Patagonian peak wasn't repeated for many years because of the challenging nature of the climb. In numerous sporting codes Southland punches well above our weight and with the funding assistance of our Licensing Trust we have been nationally competitive in Rugby, Netball, Cycling, Basketball, Rowing, Badminton, Swimming and many more. Educationally we are recognized as leaders in supporting new technology and innovative approaches in teaching numeracy and literacy and our gifted and talented learners. It is not surprising that some of the strongest opposition to National Standards has also come from Southland where our professional integrity comes before any politically motivated initiative. While there was a national move for provinces to lose their financial independence with provincial banking being absorbed by large Australian banks, Southland stood strong. The Southland Building Society remained independent and now as the SBS bank it has branches throughout the country and is arguably our largest New Zealand owned bank after Kiwi Bank. When the Government in the sixties and seventies decided that the natural values of Lake Manapouri were expendable to hydro-electricity production Southland led the largest and most successful environmental protest that New Zealand has ever experienced. 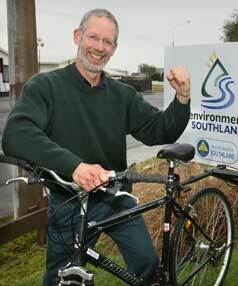 Southland is again finding itself being pushed aside because of spurious national interests and industrial greed. The growth of the dairy industry has seen Southland's natural resources exploited with blatant disregard for the local environment and the Government's flawed faith in fossil fuels will potentially destroy the food production future of the Mataura Valley. Venture Southland's Draft Energy Strategy is far superior to the national strategy in its environmental awareness and focus on sustainability of resources. While the National led government is pulling back from its environmental responsibilities Southland's regional councils are taking these responsibilities very seriously and are attempting to address mistakes of the past. Yet again there is little regulatory or financial support and our region will have to assert ourselves as we have done before.